It’s time to pull out all the stops this month! This month, we’re giving you a full body workout intended to make you sweat and work muscles you didn’t know you had! 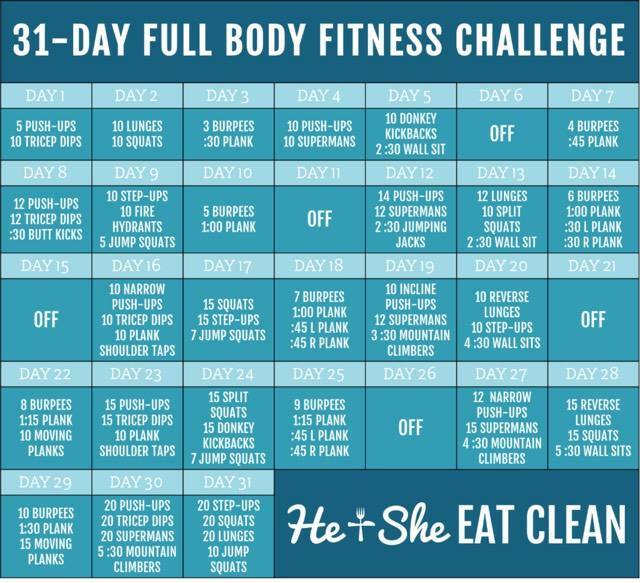 This month will combine workouts learned in challenges from the previous months. The Full Body challenge won’t target specific groups of muscles like previous months. Instead, these workouts are designed to work each part of your body each day, in ways you’ve never thought of. There’s no doubt that you will feel a difference in yourself at the end of this month.